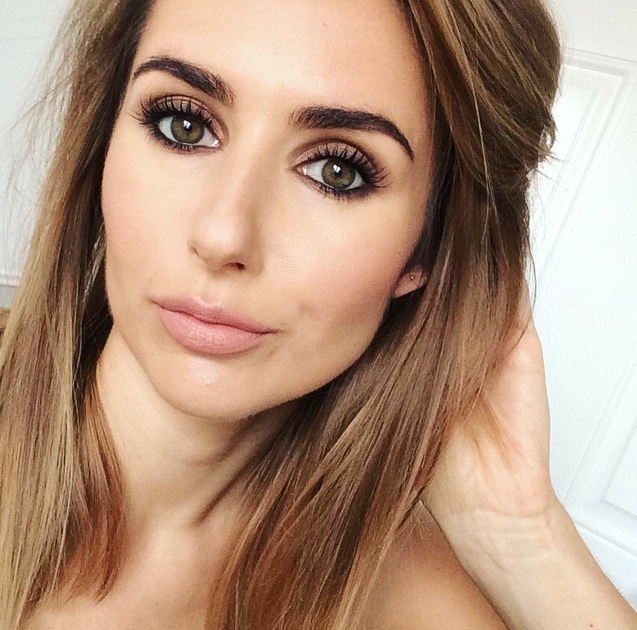 BEAUTY & LE CHIC: What did we do before Real Techniques? What did we do before Real Techniques? Just taking a moment here to appreciate Real Techniques. Sam, Nic... big up ya bad selves! I own a lot of RT brushes, use at least one (okay five) every day but for some reason, haven't given them the air time they deserve. What did we do before Real Techniques? At that price point any price point, you'll be hard pushed to find a better brush brand. The quality, design, results... they're faultless. Who doesn't have an RT in their stash? 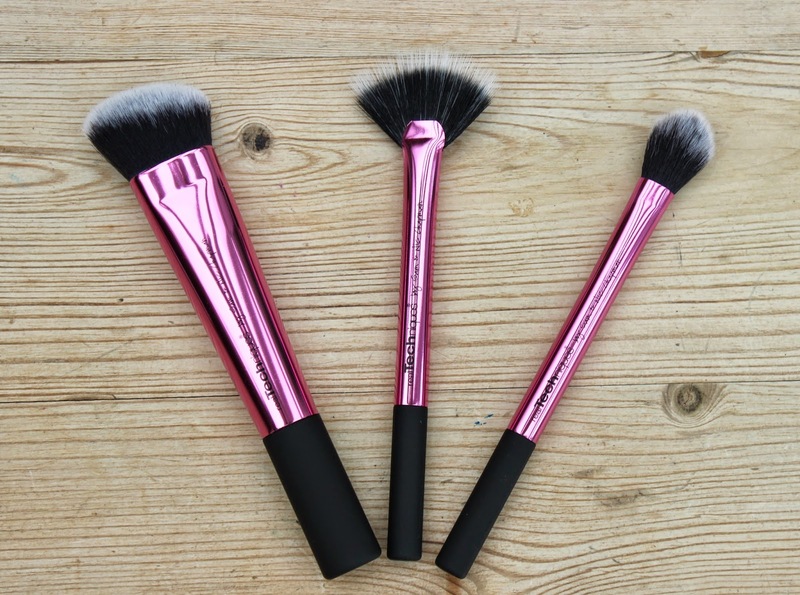 The Sculpting Brush - The softness of this brush, you have to feel it to believe it! Medium sized brush head cut to an angle that perfect fits into the contours of the face. 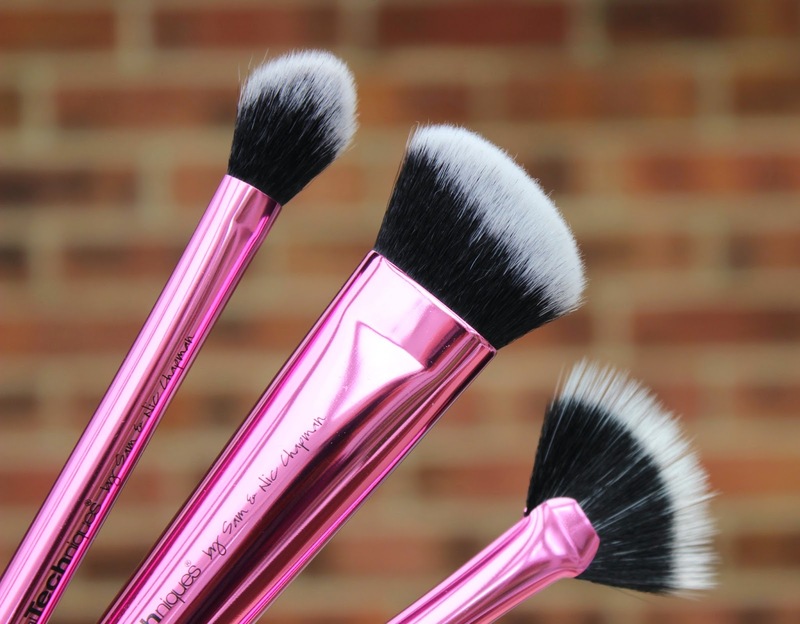 Soft but firm bristles that can be used for both liquid and powder contouring. The Fan Brush - a super soft, small fan brush that softly sweeps on powders and whisks away any excess makeup for an even finish. The Setting Brush- small and perfectly domed - perfect for a controlled dusting of powder or highlighter. Like i said, what did we do before Real Techniques? Oh yeah, I remember... we applied badly. This set contains everything you need to effortlessly and seamlessly highlight and contour. 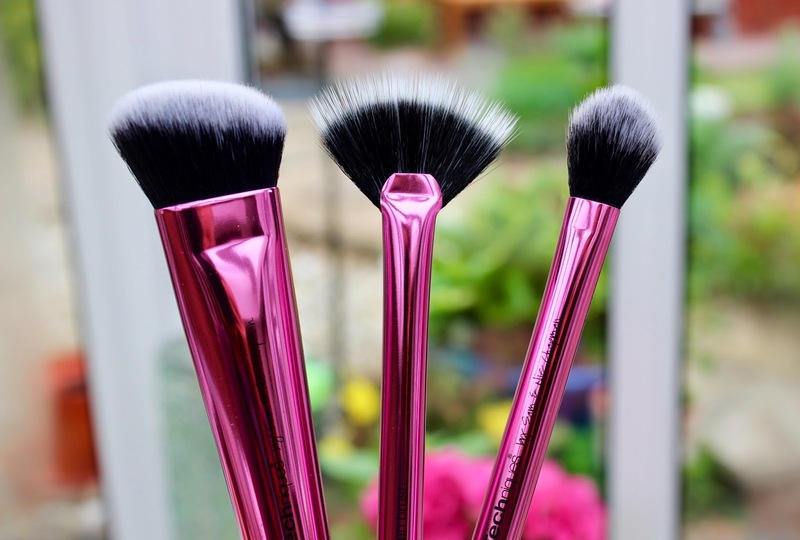 Ultra high quality synthetic (cruelty free) bristles for pixel perfect results every time. Chapman sisters, I WORSHIP YOU! 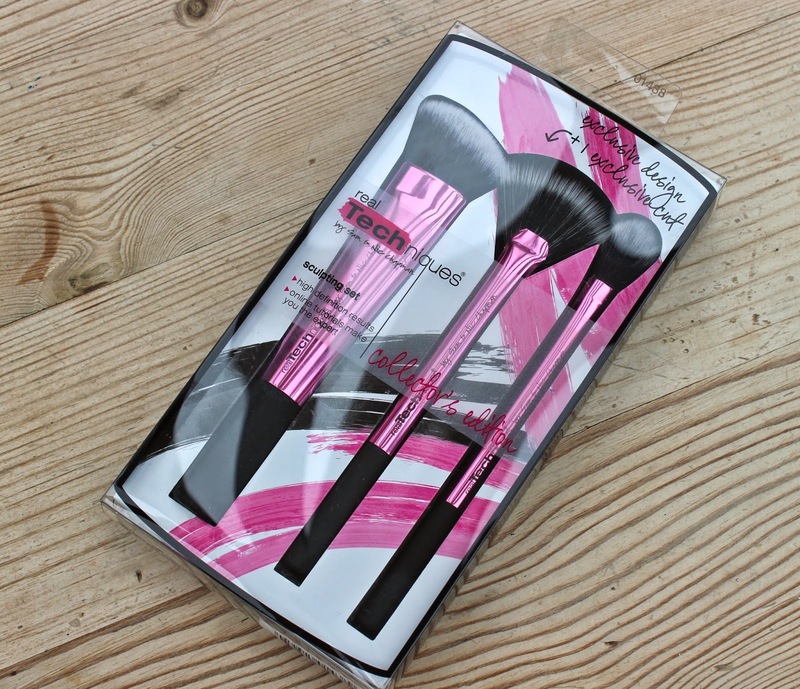 Sadly the shamazing Superdrug offer has expired but you can pick the same set up on eBay for £13.95. I have so many Real Techniques brushes but not this set! I must pick it up! Completely agree with the title of this post! Their brushes are absolutely incredible, I cringe now at how much I spent per brush at MAC when I could have got the same quality brush for much cheaper! I NEED THIS! The sculpting brush looks amazing! Haha not sure what I used before RT brushes. I love their brushes, they never disappoint me. I have the sculpting brush from this set and I use it for cream contour but also for foundation. This is such an incredible set and definitely one I want to pick up! I'm obsessed with RT's brushes! Before I started using them, my makeup never looked as good! Fenwick Beauty Week - You won't want to miss it!